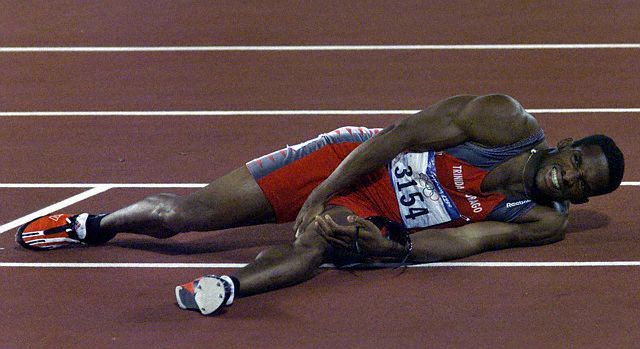 Athletes, especially those whose training is more than a gentle passtime, will injure themselves. Sprains, strains, pulls, or if you’re full of reckless abandon, deep gashes will occur. This article will deal with sprains, strains, and pulls (ssp’s from here on in), specifically what works, what doesn’t, and tricks to increase the speed of recovery.As I sit here writing this, I’m recovering from an injury. In modifying my training to specific vertical leaping power, I added sprints as per a new training scheme specific to vertical leaping ability. During my last sprint, I pulled my hamstring a little bit. In spite of this, I was able to perform my box squat workout without aggravation. Afterward, I went about recovering the muscle. The old gym mantra of “Rest, Ice, Compression, Elevation” is still first-line treatment for pulls and sprains. Here’s the thing: you have to do it! So often clients of mine bang on about how they hurt themselves away from the gym and they don’t do anything about it. Even after I tell them about RICE, they response with “I forgot” the next time they hurt themselves! This is paramount: get the injury iced and wrapped! Really, RICE the injury immediately. Don’t screw around with this. It’s worth saying twice! For compression wrap, I like using knee wraps for powerlifting and duct tape to seal the thing from unraveling. Get your leg above your heart, watch some entertaining programs, and rest. Second, heat and the stick. Once the swelling has reduced to a nice stiffness, you start adding heat. While ben gay works in a pinch, I really prefer blue heat. It doesn’t have the retirement home scent quite as much while providing superior warming and sweating. I highly recommend this. While light stretching is helpful here, I prefer the active release of using a foam roller or the stick to work out the tight muscle. If you have distance runner friends, I suspect they have 3 or 4 of these lying around the house. They seem to be given out like candy at running events. It’s a nice tool that you can keep in your hamper, like I do. This is the part where you figure out how you goofed and not to do it again. I hadn’t had to sprint that distance in nearly a decade; a basketball court isn’t 60 yards long. As I’ve noted before, coaches sometimes, or often, forget to heed our own advice; I should have started slower, either shorter sprints or less 60 yarders at 90% perceived effort. I’m fortunate this is quite minor and I’ll be back in under a week for more (less) sprints. So that’s the primer for SSP’s. The sooner you get the ice and compression going, the faster the turnaround. Learn from your mistake and get back to training! Readers: is there anything you’ve found to be effective that I didn’t cover? I had lower back problems years ago. When a muscle would seize up to where I would be flat on the floor in pain, I used capsacin cream which was pretty powerful stuff. I call it thermonuclear bengay. You have to put it on with gloves or a baggie because the oils will linger in your hand for up to a week, and you’ll get an unpleasant reminder if you rub your eye. Also, the treated area should stay away from any warming source (direct sunshine, hot shower, heating pack) because it will cause a burning sensation. It did take away the stiffness and pain faster than any other sports cream I’ve tried. Thanks for commenting on my blog! You’re right about thermonuclear bengay; it’s what I’ll be using tomorrow to relieve the last bits of my pain. Once, in an effort to increase bloodflow to stubborn fat cells during a low cal diet, I rubbed the stuff on my stomach using DMSO as a carrier…I was very warm all day long. Lovin the blog man. I’m gonna add you to my blog roll. Can’t wait to hear about your cyclic diet.